Icarus is the brand new outdoor work from Southpaw. 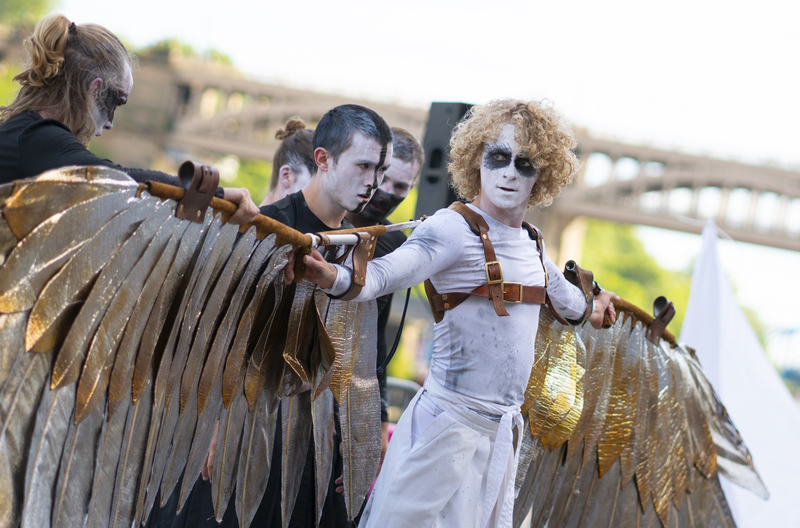 Featuring an impressively mythic set of wings, with blistering lifting and contact work alongside Southpaw’s distinctive mix of intense physicality and narrative, Icarus is a dance theatre interpretation of the classic Greek myth. Icarus is available for touring in 2019-2020.